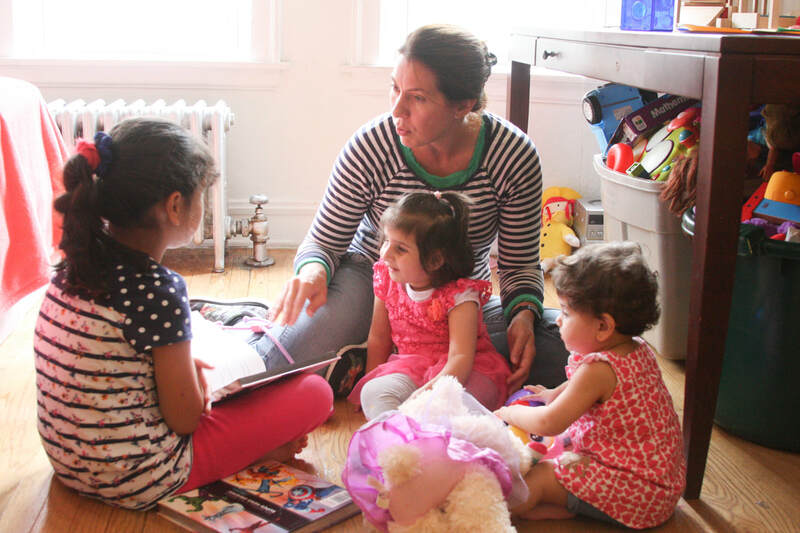 From their rural home outside of Damascus, Wafaa and her husband Mahmoud never imagined they would one day raise their family in the United States—much less in a bustling metropolis like Chicago. But when their second daughter, Malak, was born with health complications during the height of Syria’s civil war in 2013, they knew they would have to flee to protect their family and obtain treatment for their newborn daughter. They walked more than 100 miles to find safety in neighboring Jordan. There, Malak was diagnosed with cerebral palsy, a neurological disorder that permanently affects body movement and muscle coordination. 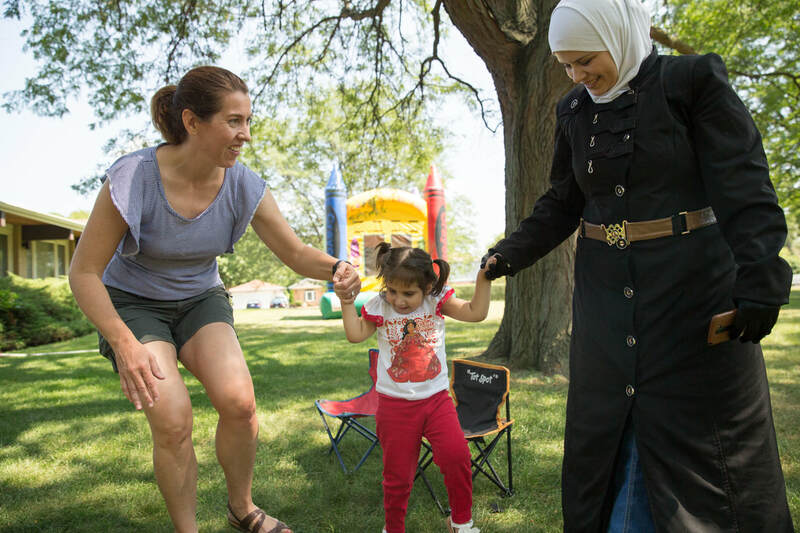 More than three years after fleeing Syria’s violent civil war, Wafaa, Mahmoud, and their two daughters arrived in Chicago on June 13, 2016. RefugeeOne greeted them at O’Hare Airport with their co-sponsors, a group of volunteers from four Lutheran congregations and the Turkish American Society of Chicago, who helped prepare the family’s first apartment and welcome them to their new home. Finding quality care for Malak was one of her parents’ top priorities upon arrival. With the help of RefugeeOne’s Medical Case Management Program, founded in August 2016 through a $100,000 grant from Impact 100 Chicago, the family was connected with specialists with expertise in helping children with cerebral palsy. Among those specialists was a talented team of therapists and social workers from the Rehabilitation Institute of Chicago, a partnership forged by RefugeeOne to meet the needs of refugees, from accepting public benefits to providing compassionate services with interpretation in the clients’ native languages. When they first arrived, the family’s co-sponsor team provided transportation to all of Malak’s appointments, but the young couple was determined to become self-reliant and do things for themselves. 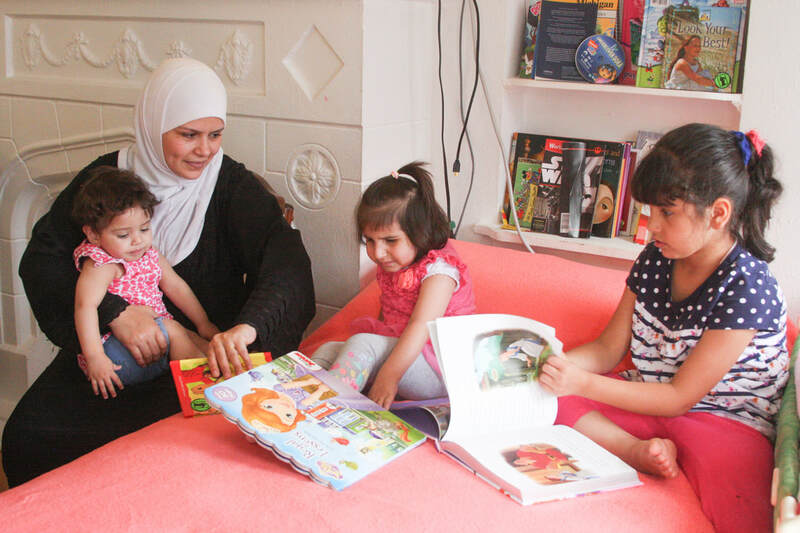 Before long, Wafaa and her girls were taking buses and trains to their appointments while Mahmoud completed English classes at RefugeeOne and found a full-time job. A few months later, Mahmoud found an even better job at Erva Tool & Manufacturing Co. with a pay raise that enabled them to purchase their first car. Learning to drive and purchasing their first car are only two of the family’s accomplishments. With RefugeeOne’s help, Malak is now in school for the first time. She proudly attends Chappell Elementary. Before coming to Chicago, Malak was unable to walk or communicate verbally. Today, she is learning to walk with an occupational therapist twice a week and has even begun to speak. "We set our minds to it, and with the help of a lot of people, we were able to do it."